New technologies are hitting the market that enable self-healing in the power network and rollout of Smart Grids. These are tremendously important to improve reliability of the grid. These technologies will also enable the next generation of renewal energy production, including power storage systems. We are interconnecting everything - and the opens a whole world of opportunities for the next generation of engineers. 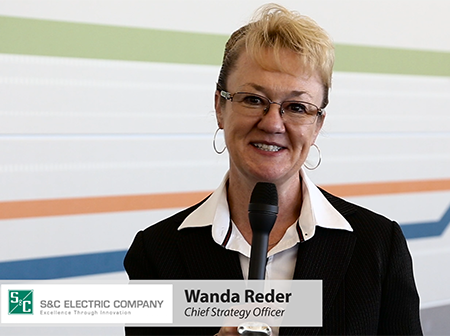 Wanda Reder, Chief Strategy Office, S&C Electric Company.